Marcela Gutiérrez ⎬ Nostalgia. Working at the Alexander McQueen studio in 2005. 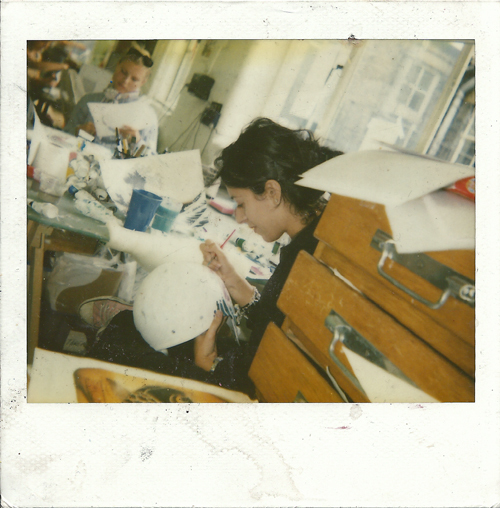 I just came across this old polaroid that was taken when I was working in the Alexander McQueen studio on this hand painted helmet inspired on the Japanese painting “The Great Wave” by Hokusai and chinese tattoos.